"Sprawling Live Oak" - signed fine art print. 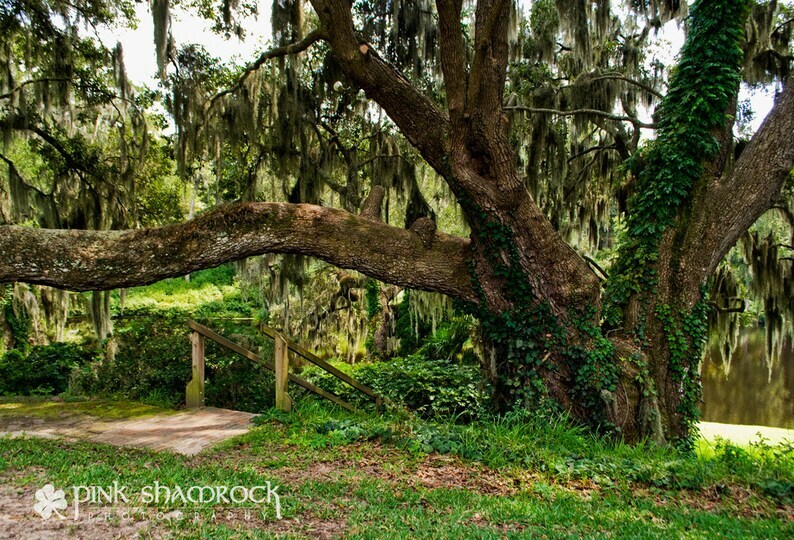 This beautiful Live Oak is located in historic Charleston, SC. I was drawn to the peacefulness of the scene and the staircase leading down the hill next to the large oak tree. This print is available in either color or black and white. Prints are from a professional photography lab, printed on Kodak Endura Metallic Paper. Matte finish Kodak Professional Supra Endura VC Digital Paper is also available upon request. If requested in black and white, Ilford True Black and White Paper will be used.